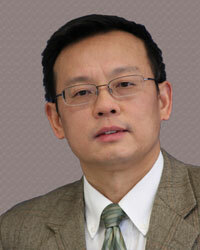 Juming Tang’s work is in the Food Engineering Emphasis Area. He holds several patents and numerous awards and honors for his research into Microwave Pasteurization, Microwave Sterilization of food, and Low Moisture Food Safety. He is currently the principal investigator of a multi-institutional team represented by members of industry, academia, and government investigating engineering solutions to ensure microbial safety of frozen and refrigerated meals in retail markets. He is also director of the Microwave Sterilization Consortium, again represented by members of industry, academia, and government that was awarded the first ever industrial microwave sterilization process approval from the US Federal Drug Administration (FDA). Please visit Juming Tang Professional Site for more about his work.